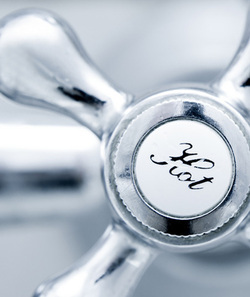 A One Stop Shop for all your Plumbing Canberra & Emergency Plumbers Canberra & ACT Wide needs. Here at Plumbers Canberra we have been providing plumbing, emergency plumbing, hot water system engineering and all round general plumbers services to Canberra and the surrounding ACT area for over a decade. We are proud to offer some of the lowest costs in the industry the way we achieve this is simply because we pride our selves on correctly diagnosing the leak or blockage and then only replacing the specific faulty or broken parts and not anything else. So whether you have a leaking pipe, a blocked toilet or a defective shower, call us now for a quote and a prompt repair. Whilst we offer a quality 24 hour emergency plumber Canberra wide call out service ... and if this is what you are after in a hurry then call us now on 02 6145 2146. However this is only the tip of the iceberg of all the plumbing services our company provides across Canberra and the greater ACT region to our valued customers, read on for other general plumber Canberra wide jobs we can deliver for you.